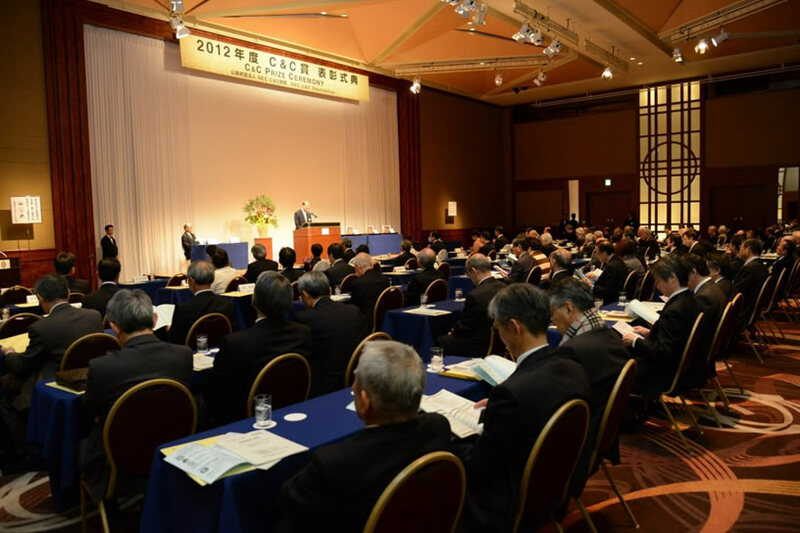 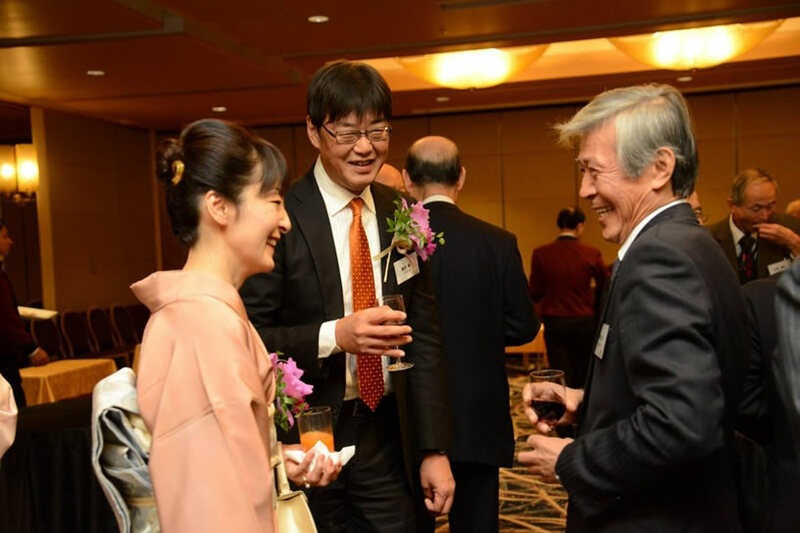 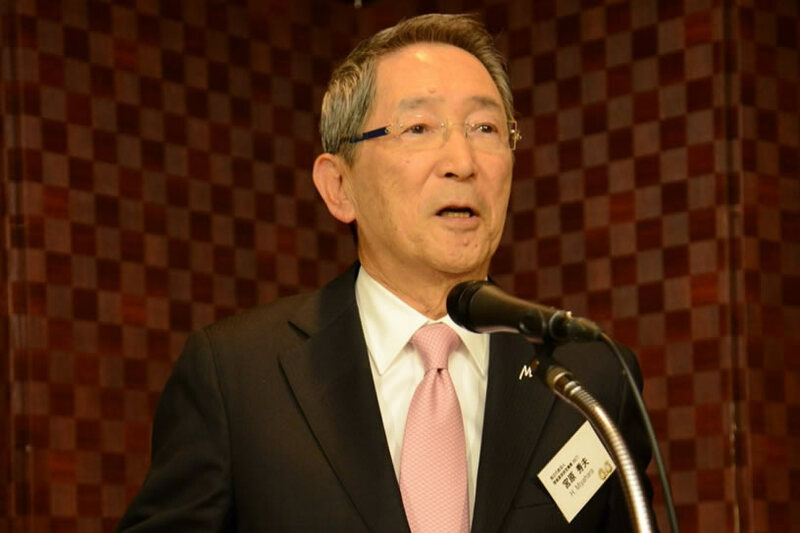 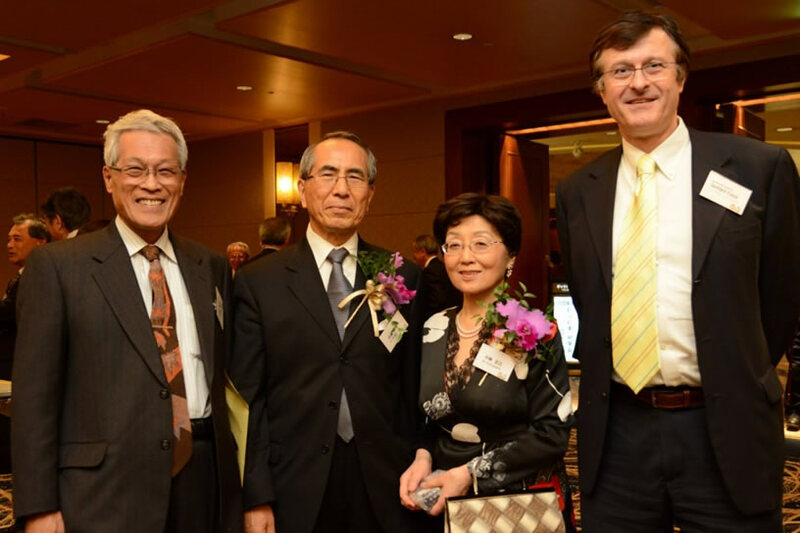 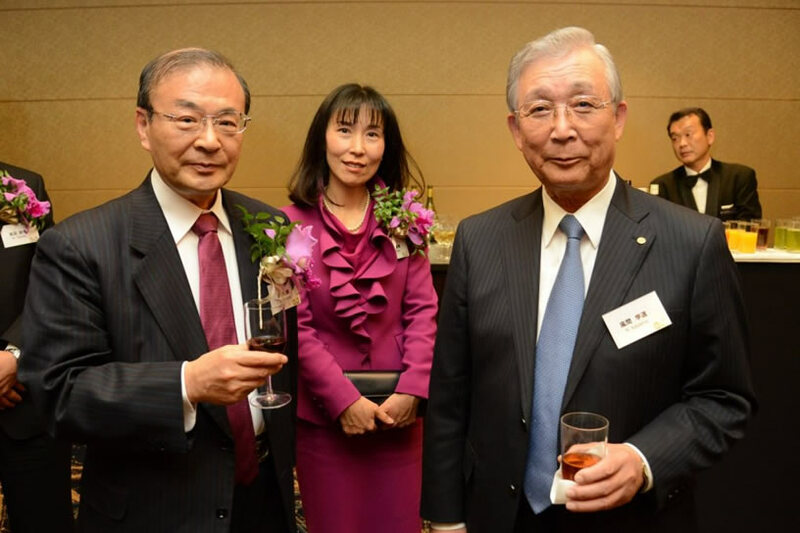 The 2012 C&C Prize Ceremony was held at ANA InterContinental Hotel Tokyo on November 28, 2012. 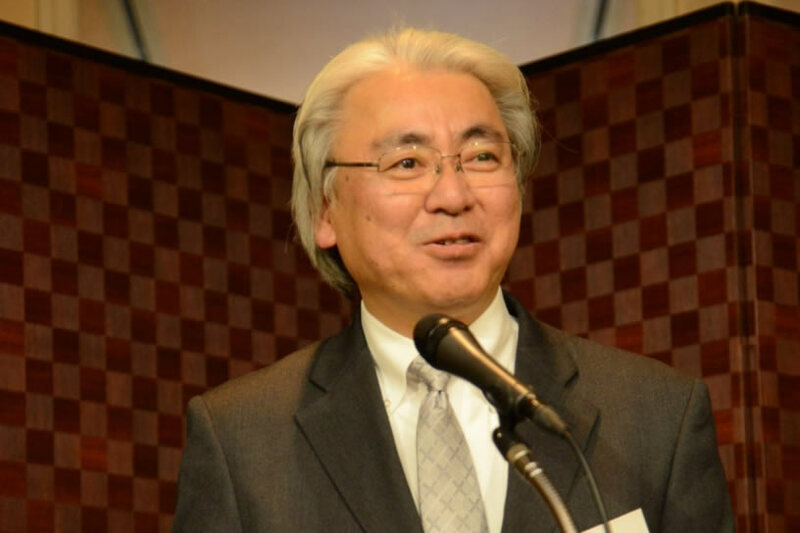 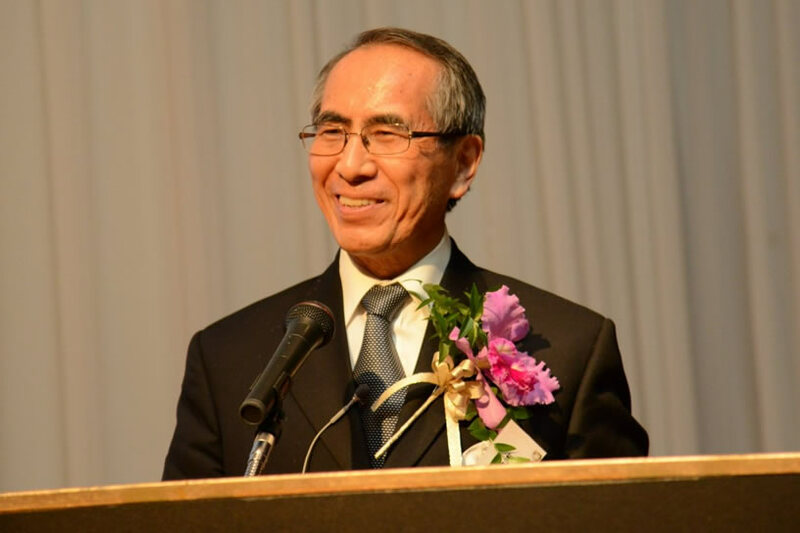 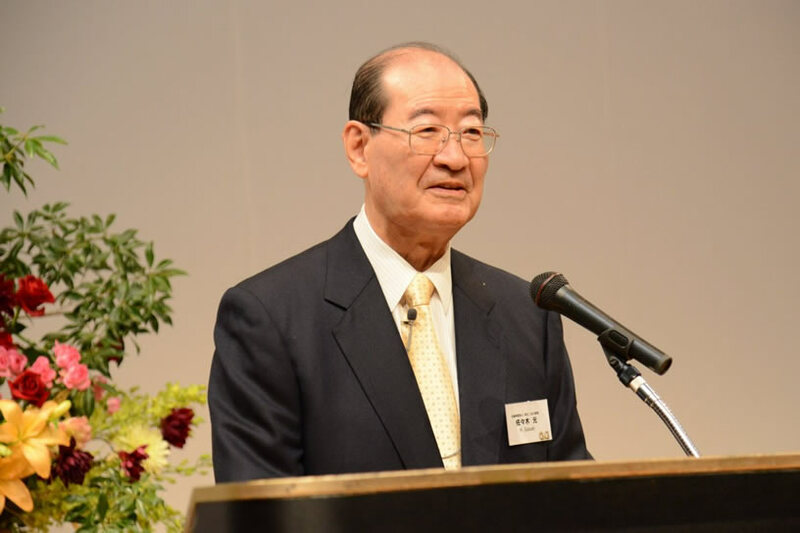 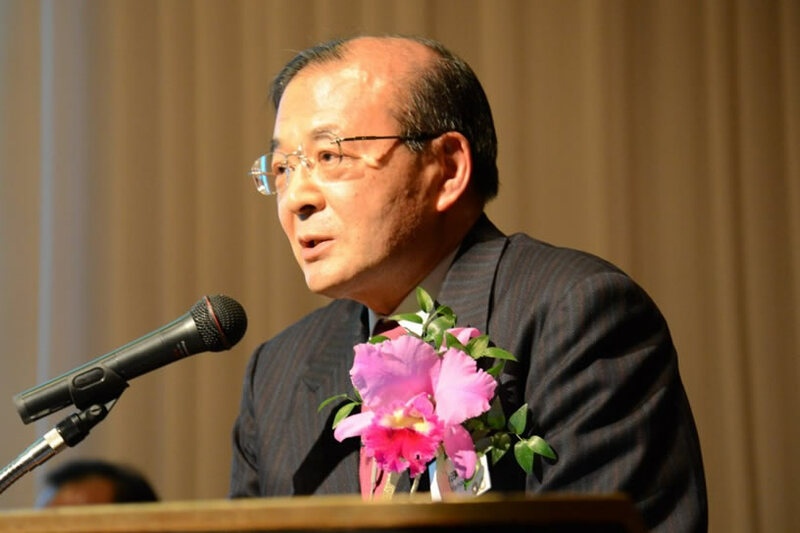 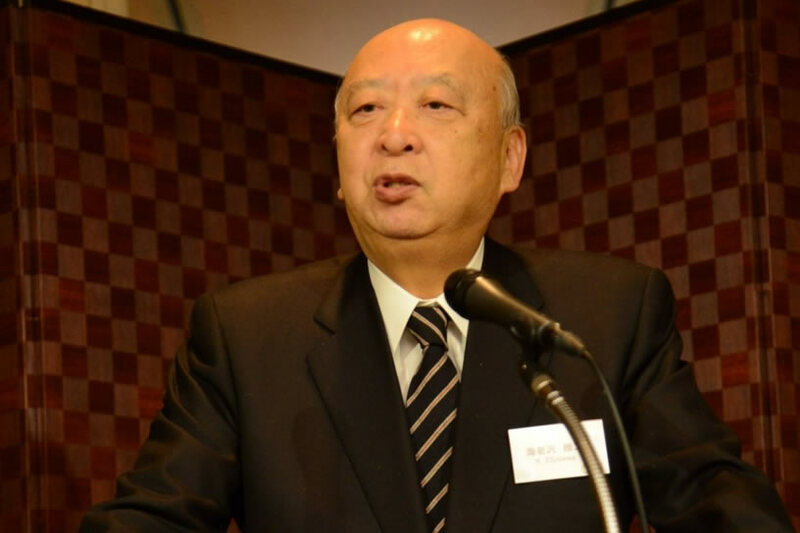 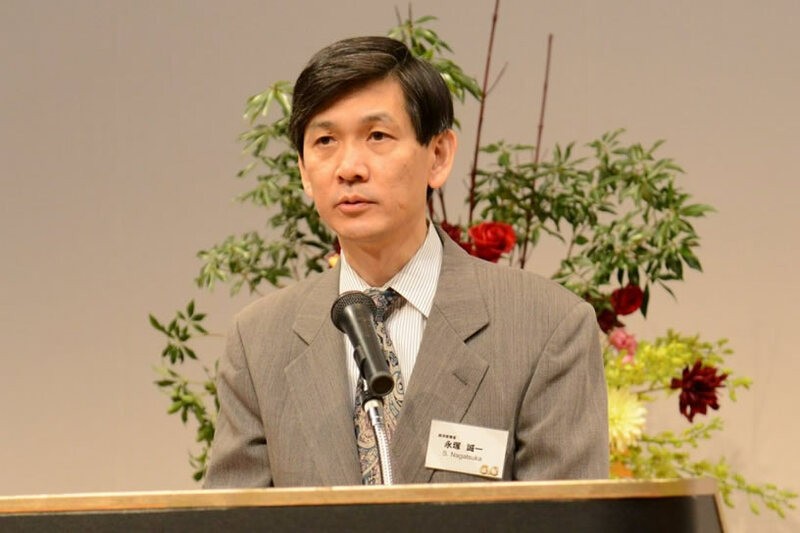 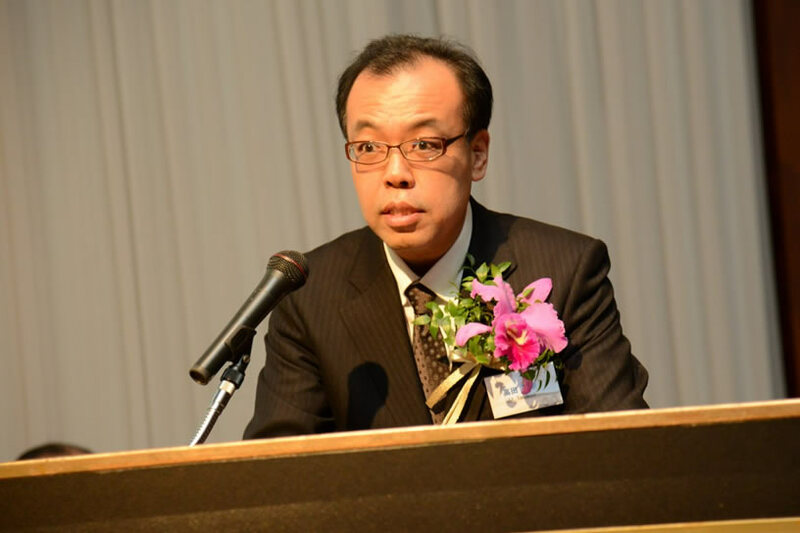 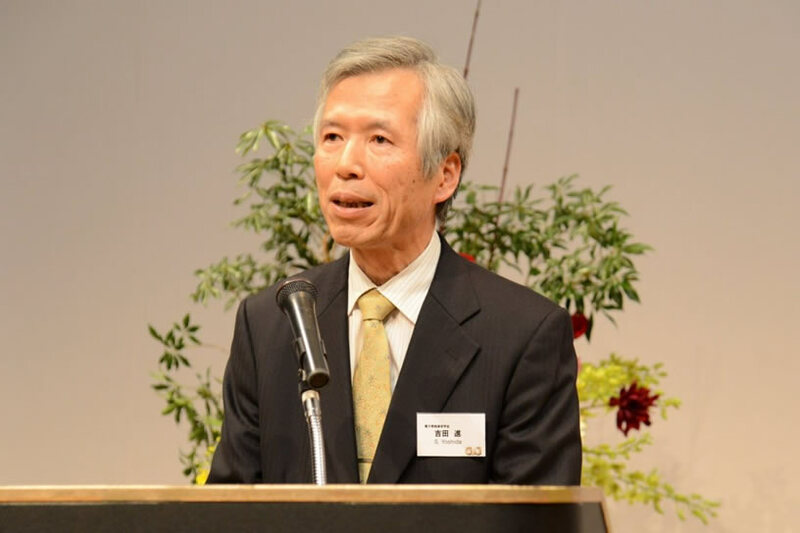 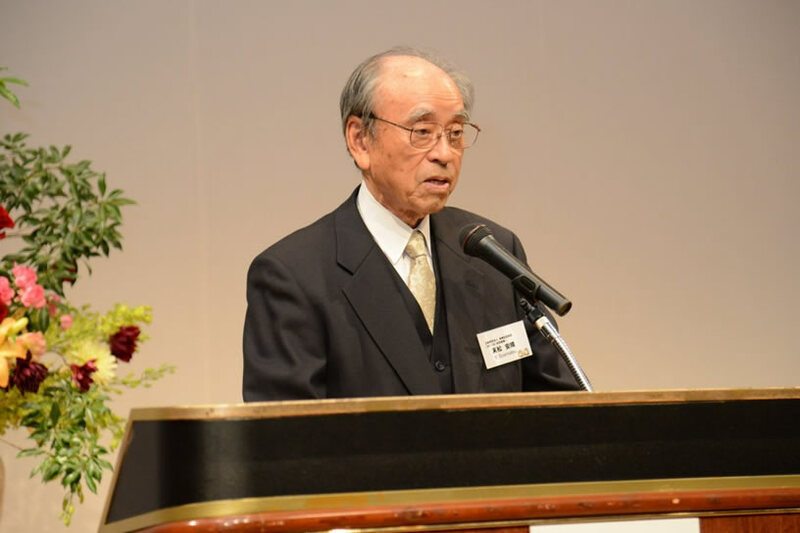 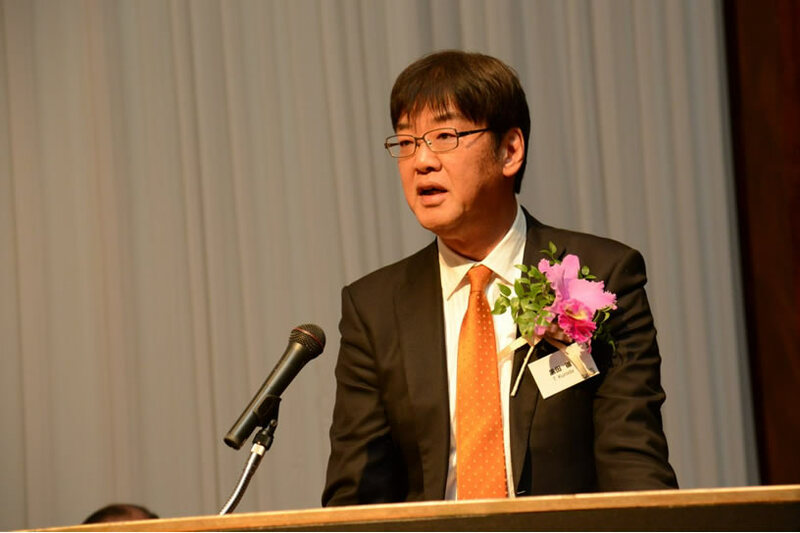 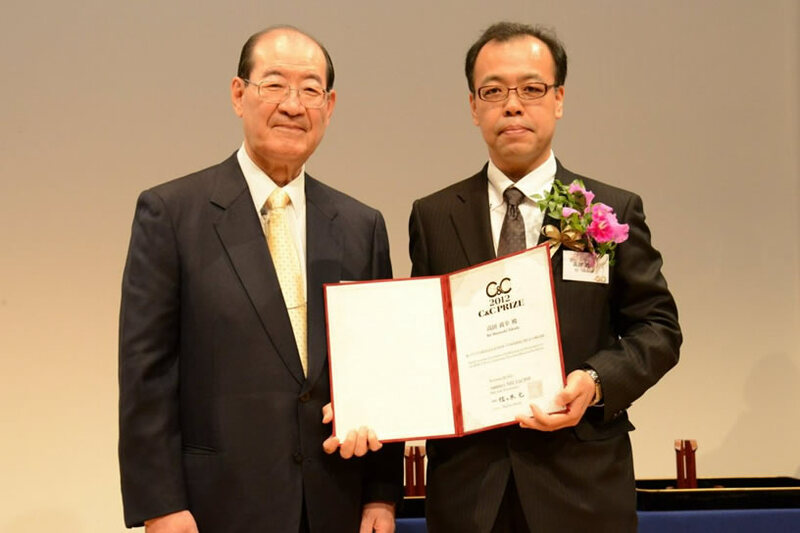 The ceremony started with the welcome speech by Mr. Hajime Sasaki, the president of NEC C&C Foundation, followed by the recognition of 2012 prize recipients by Dr. Yasuharu Suematsu, the chairman of the award committee. 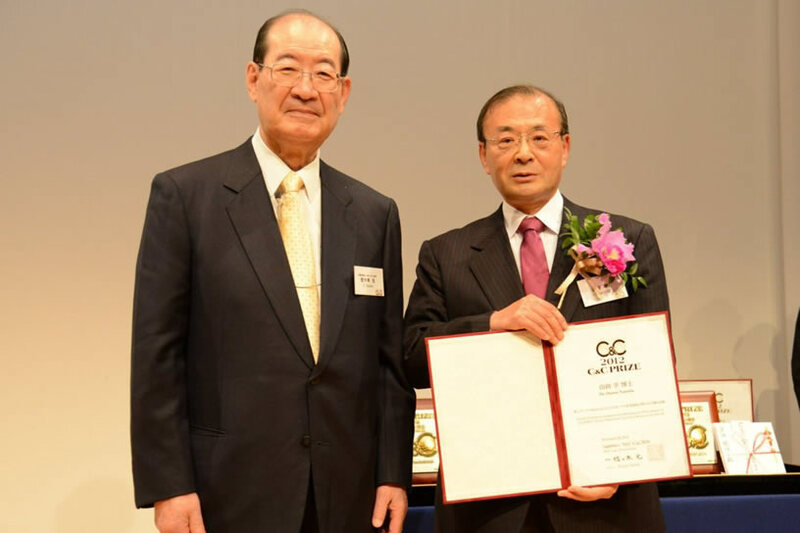 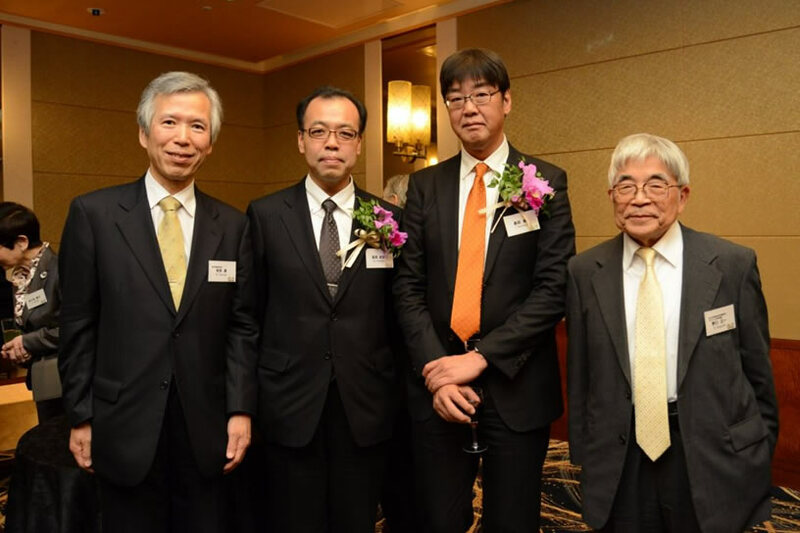 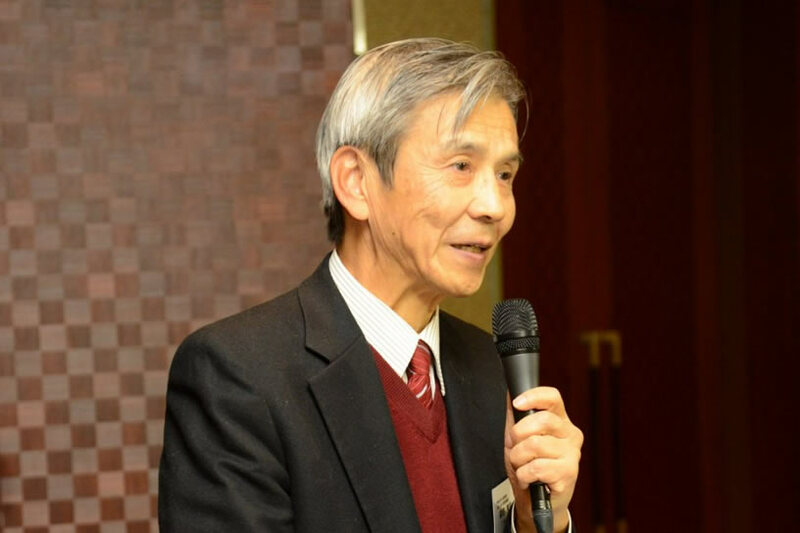 The 2012 C&C Prizes were presented to Dr. Osamu Yamada, Dr. Toru Kuroda, Mr. Masayuki Takada and Prof. Hisashi Kobayashi. 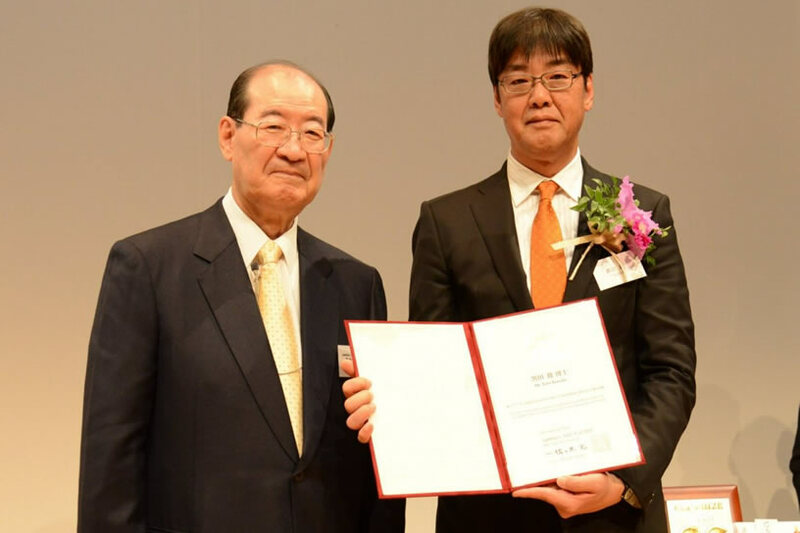 For Pioneering and Leading Contributions Both to the Invention of High-Density and Highly Reliable Data Recording Technology and to the Creation and Development of a Performance-Evaluation Methodology for Computer and Communication Systems. 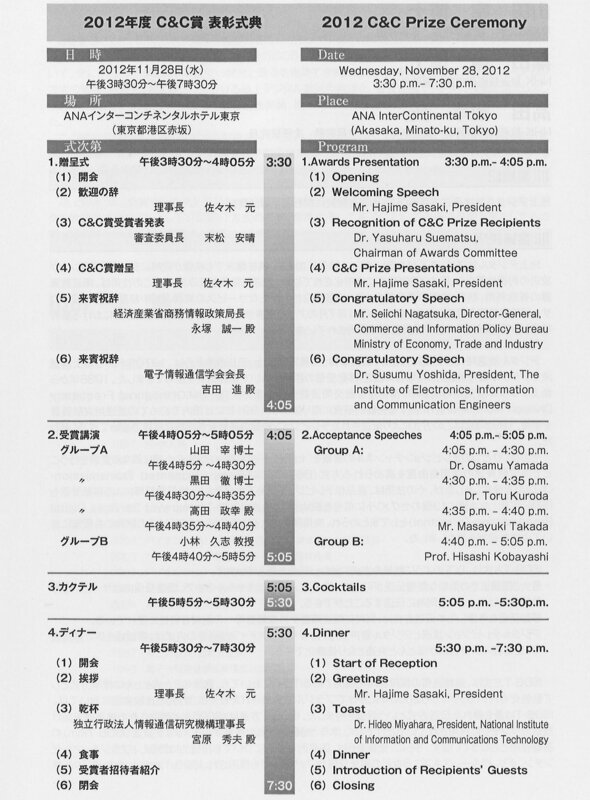 As shown in the program leaflet, after the congratulatory speeches and the recipients' acceptance speeches, the ceremony ended with the dinner to celebrate the 2012 prize recipients. 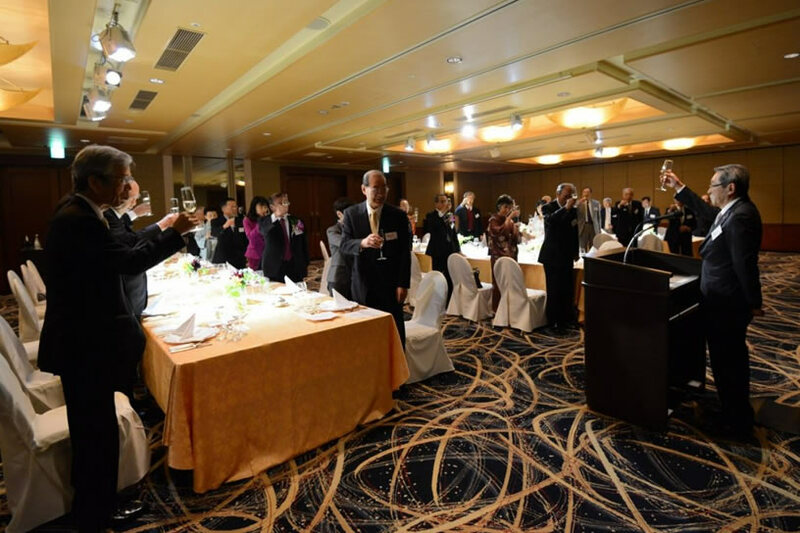 Followings are the pictures taken at the ceremony.